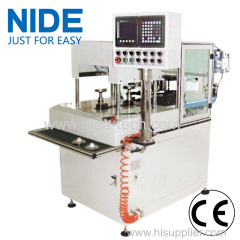 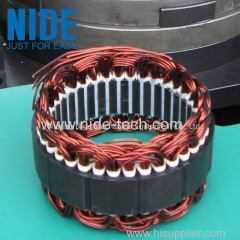 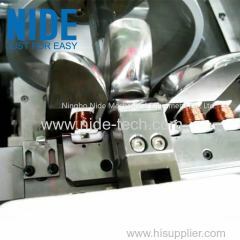 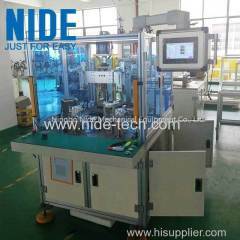 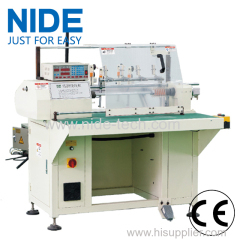 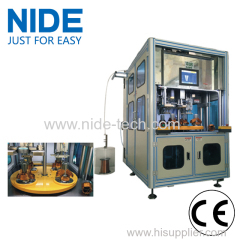 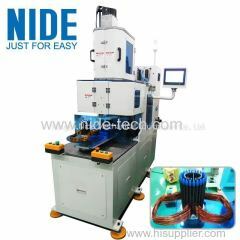 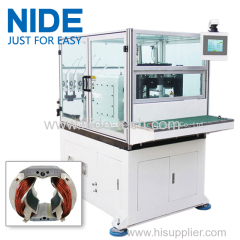 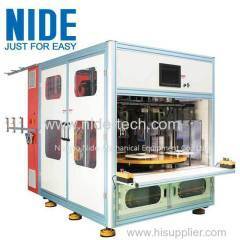 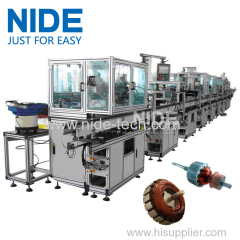 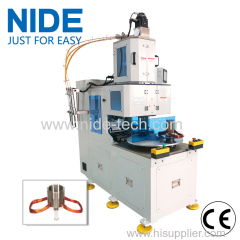 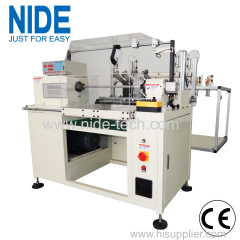 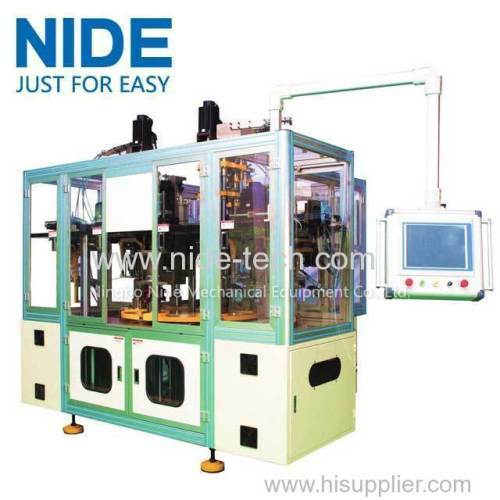 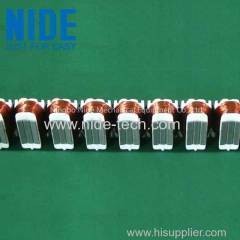 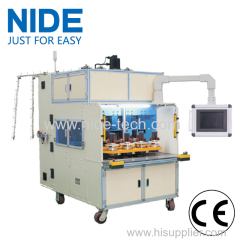 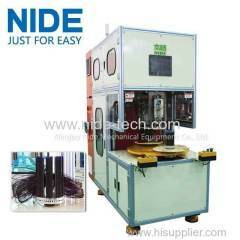 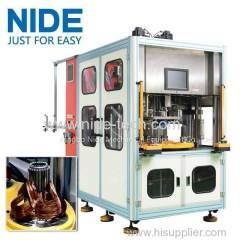 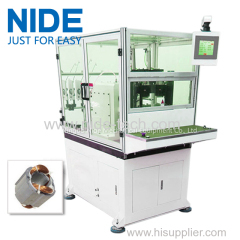 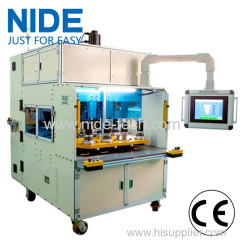 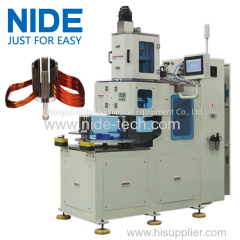 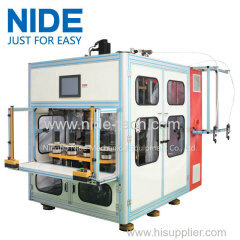 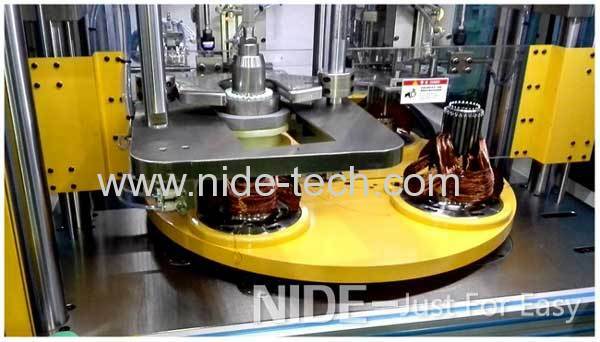 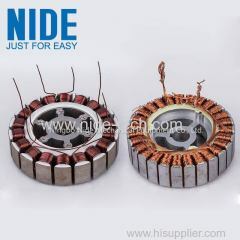 3 station stator coil winder and inserting machine for three phase motor from China manufacturer - Ningbo Nide Mechanical Equipment Co., Ltd. 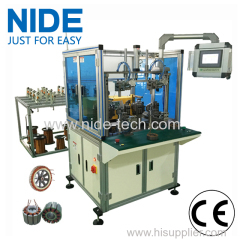 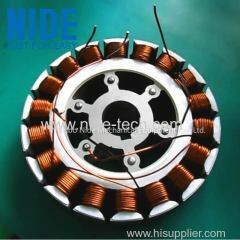 The stator coil winding and inserting machine is designed for three phase motors. 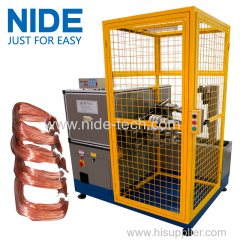 Mainly used for winding and coil inserting for three phase motor, motor with tapping; abopt servo system, 4 station or 6 station design, can complete 3 phase coil winding , wedge cutting, coil insertion, phase insulation paper insertion etc. 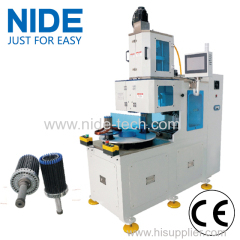 Has remote control function, can be integranted into auto line, double driving system for coil insertion, auto stack heighe adjustment, support Ipad operaion. 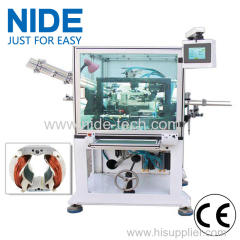 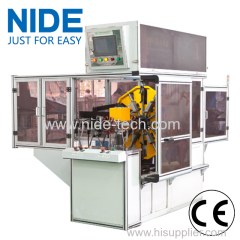 The winder and inserting machine can wind the three groups of wires at the same time and increases the two places for insulating paper, results in the function of inserting wires and increase the phase insulation simultaneous, and reduce manual work after, the winding machine are used servo motor drive to ensure the machine's operation is accurate and stable,adopts double power line to insert the coil , can meet the production of high slot full rate products. 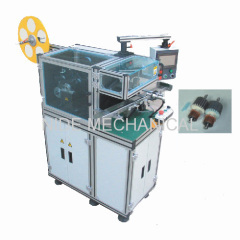 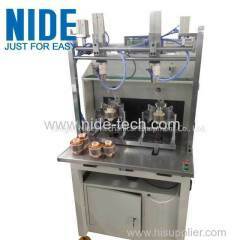 This stator coil winding and inserting machine is can do coil winding, coil inserting and wedge inserting. 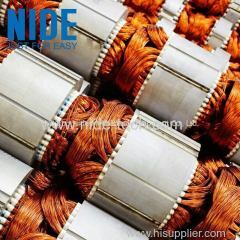 During winding, the coil will be auto wound to the tooling, so as to avoid the wire damage and snap caused by wire cross and disorder during manual wire transfer. 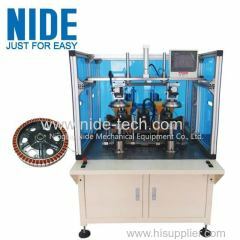 This machine can detect the wire coating damage. 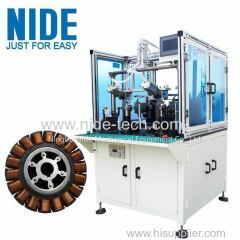 The winding and inserting station is controlled by servo motor. 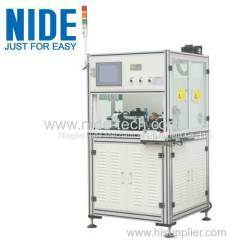 The parameter can be set in the touch screen. 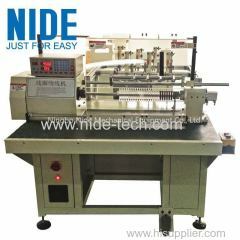 With serval station working simultaneously, this winding and inserting machine is efficiency and saves labor cost. 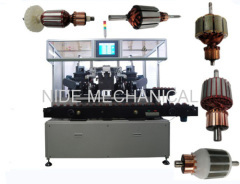 The three stator coil winder and inserting machine is Sutiable for three phase motors,such as a variety of machine tools, lifting machinery, pumps, fans, all kinds of production machinery, power drainage irrigation, agricultural and sideline products processing equipment, etc.